Rothbury Parish Council has racked up legal bills of nearly £16,000 over the last few months. At November’s meeting, it was revealed that £8,927 has gone on solicitors’ fees since September. And last Wednesday, it was announced that a further £7,944 has been spent. The group owes the bill to solicitors, having sought legal advice. It follows more than three years of issues relating to a member of the public, who has reported the parish council to the Information Commissioner’s Office (ICO), Northumbria Police, the external auditors and Northumberland County Council, all of whom decided to take no further action. A recent decision by the ICO found in the parish council’s favour, concluding that ‘complying with the complainant’s requests would result in a disproportionate and unjustified level of disruption to the council’. However, at last month’s parish council meeting, it was revealed that the complainant has appealed this decision. The parish council is to defend this at a first-tier tribunal, which will cost more money in legal fees. New standing orders and financial regulations have been agreed, which will ‘fundamentally change’ how the parish council operates, Coun Bridgett has said. Among the changes, a new finance and policy committee, as well as a planning and community services committee, have been created, to take certain items of business away from full council meetings. Coun Steven Bridgett has been appointed as interim chairman of the finance/policy committee, while Coun Helen Walklett is interim chairman of the planning/community services group. 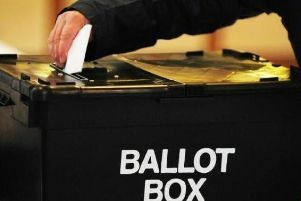 Public question time will now take place before the full parish council meeting starts and only residents living in Rothbury or the Rothbury electoral division will be able to speak. He added that the changes will create an extra burden for the clerk and a new contract will be drawn up for her. The village’s drop-in centre must be supported, the meeting heard. An informal session was held recently to give youngsters the chance to find out more about the service. Members of the youth service were due to attend and it is hoped that the group can rebuild. Coun Bridgett said: “There is the potential of support from the county youth service, but it is minimal, so I think we should be looking to help fund the drop-in centre. Coun Bridgett has suggested that the parish council puts aside money in its 2016/17 budget to appoint a full-time position of village warden. He said that the person in the job could receive training to be able to issue fixed-penalty notices. It came after chairman Coun Mark Gilson said that the gardeners in the village had done a fantastic job over the last six weeks, clearing gullies, drains and ditches. He added that the village rarely sees county-council officers in the village doing similar tasks. Coun Bridgett said: “We are paying too much, especially to Northumberland County Council. “We need to incorporate a full-time village warden into the forthcoming budget. “In the winter, the warden could clear and grit paths, especially for elderly residents, and you can employ a village warden to issue fixed-penalty notices to people who park on double-yellow lines and for dog fouling and litter offences.